President Maithripala Sirisena says he will not implement any resolutions of the United Nations Human Rights Council, which is contrary to the constitution of the country or which will endanger the sovereignty of the country. He stated this addressing an event held in Meegahatenna, Kalutara this morning (27), the President’s Media Division stated. The President said the proposal of the UN High Commissioner for Human Rights calling for the establishment of a commission on releasing the military-held lands in the North and East is based on false information given by non-governmental organizations. He emphasized that appointing a commission in this regard is completely unnecessary. 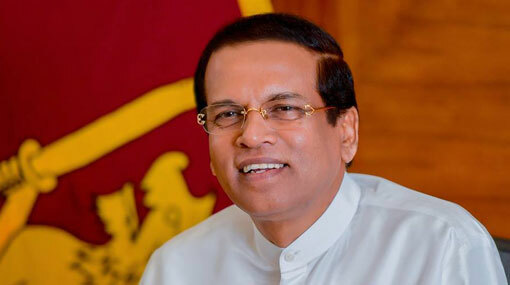 During this event, President Sirisena has said that the statement made by the UNHR Commissioner that a Commission should be appointed and the lands of the North and East utilized by the security forces were not released to its original owners, was announced based on false information submitted by non-governmental organizations. He further said that there is no necessity to appoint such Commission. The President has also said, although the government had admitted the correct facts of the statements issued by the UNHRC, it is not willing to accept the erroneous facts of those statements under any circumstances. Meanwhile, the President has said that he would not in any way accept the agreement signed by the Sri Lankan Ambassador in Geneva with the HRC on February 25th, which states that Sri Lanka will implement the policy to accept the co-sponsorship of a resolution as per the report released by the UNHRC. President Sirisena has further said that it was signed without the knowledge of the Ministry of Foreign Affairs or its Secretary. He added that he would extend his fullest discontentment regarding this incident which was occurred due to the “wrongful decisions of our own parties”. The President said that he would consider this incident as a betrayal towards our tri-forces, the government as well as the public. The responsibility regarding the foreign policy of the country, international relations and international affairs lies on the President and not on the other officials below that position, he emphasized. The President has further said that the representatives that were scheduled to send Geneva Sessions were named without holding any discussion with him and following the incident on February 25th, he had taken steps to change those representatives. The President has said that he had given guidance as how to make the speech before the Commission in a favorable manner for the country. President Sirisena has further said that the colonial conspiracies, which were faced by our country in the past, appeared before the country by means of different approaches even today. The President has also emphasized, “Although we should have healthy relations with foreign countries, those relations should not interfere with the politics of the country and the state governance.” He has also said that he would not allow room for any foreign force to rule this country either today, or in the future. This ceremony was organized to declare open the new Police unit of the Meegahatenna, Kalutara, the PMD reported. People’s representatives, including Mahinda Samarasinghe, Mahinda Amaraweera, Palitha Tewarapperuma, Gamini Tilakasiri, Ranjith Somawansa, the Kalutara District Secretary, public servants, IGP Pujitha Jayasundara and others had participated on this occasion, according to the PMD.